TimeTrak is a powerful job management tool that allows businesses to easily manage their team's rosters. This feature was designed specifically for the Healthcare industry to allow businesses to replace team members that are unable to fulfil their roster. If you have a medical team that is rostered on for a day, and a nurse calls in sick, to find a replacement for this person you can simply right-click on the time entry to "Request Replacement". This will then send out an email to all possible fill-ins to accept the appointment. 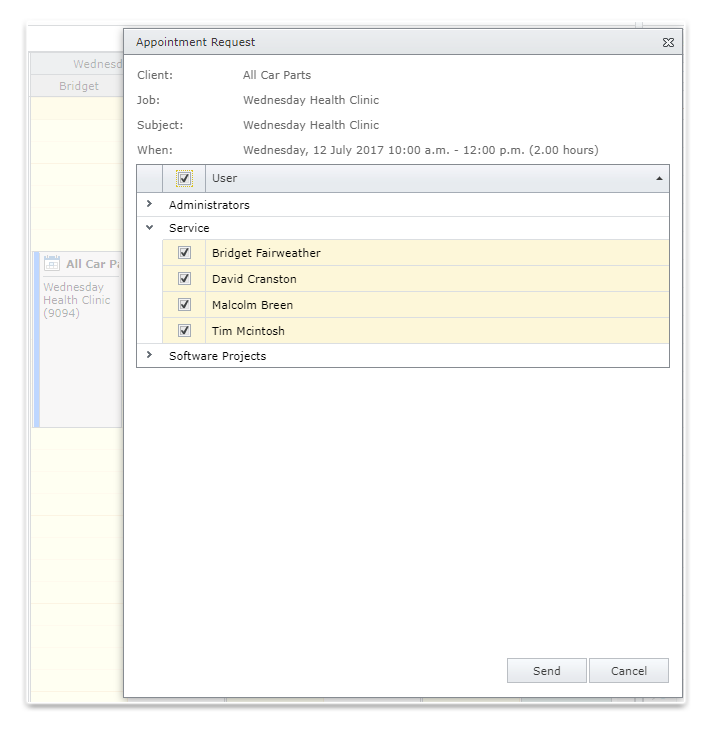 Once this appointment has been accepted, the appointment automatically gets added to that person's calendar and they are now in the roster group. With TimeTrak Professional, you can easily schedule your team for jobs, find replacements, and keep track of appointments days, weeks or months in advance. Your team can easily view appointments they have been assigned or rostered on for in TimeTrak Mobile.